I received 3 TTM Autographs this past week. Here is what I got. 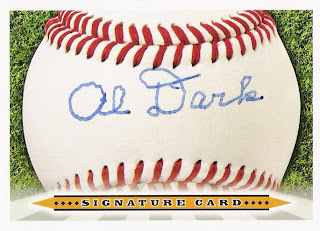 Al Dark - 1948 MLB Rookie of the Year. Mr. Dark signed the signature card that I sent and he also included a signed pamphlet about his religious views. Thanks Mr. Dark! 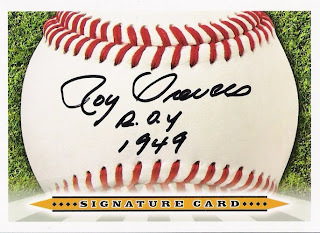 Roy Sievers - 1949 AL Rookie of the Year. 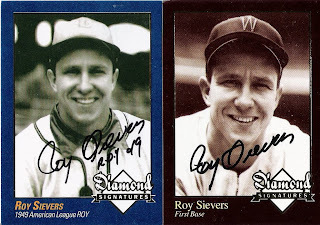 Mr. Sievers signed the signature card that I sent him and included 2 additional signed cards of his own. Thanks Mr. Sievers! 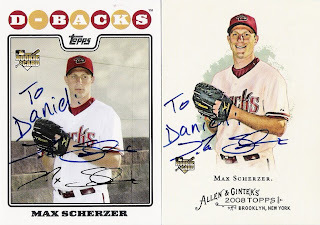 Max Scherzer - I sent Max his 2008 and 2009 Topps Allen & Ginter cards. He sent back his 2008 Allen & Ginter and a 2008 Topps card. Not sure why he kept my 2009 A & G, but at least he sent me a card in its place. Max also personalized each autograph to me, which I think he typically does. Thanks Max! I need to get rid of some cards! 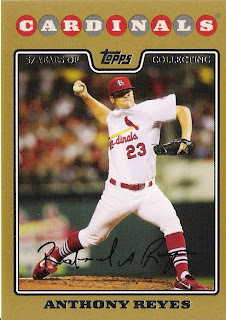 After a five year period away from baseball cards I started looking through some of my cards last night. I started with a 5000 count box. About half of the box ended up being basketball, hockey, and golf cards. (What was I thinking?) 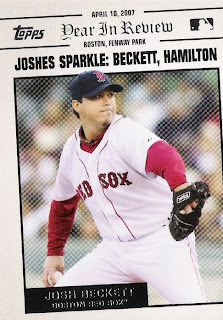 The other half was baseball cards that I had somewhat sorted by player at some point. Most of them are semi stars, but there are a few stars and Hall of Famers. Out of the 5000 cards there are probably only about 50 or so cards that I want to keep, so that leaves me with 4950 cards to get rid of somehow. 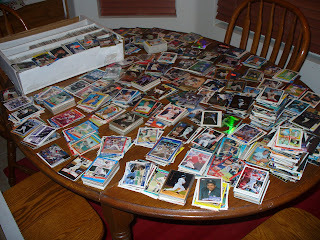 I sorted the baseball cards out by player and will post a list if anyone is interested in trading. This box is one of about 6 or 7, 5000 count boxes that I have and then I have a bunch of other boxes as well. Most of the stuff is from 1987 - 2003. (Lot's of high quality stuff, I know.) I would just give it away if it wasn't for the shipping costs. Anyways, please let me know if you are interested in trading. 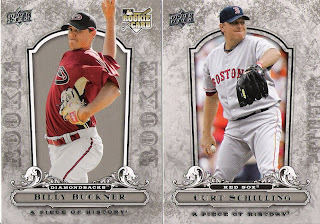 I collect the Diamondbacks and any game/event specific game used cards. Any offer will be accepted. I just want these cards to go to a good home. I was also wondering if anyone has ever donated cards to a charity before. If you have please let me know what I should do. I just need to minimize my collection. Here is the list of players. Also, if there is a specific team that you collect let me know. Email me at daniel24303@ gmail.com. Thanks! As I go through more boxes, I will post additional lists of players for trade. Larry King? 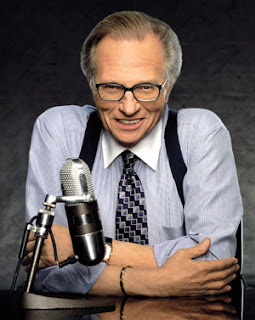 Yes, that Larry King. 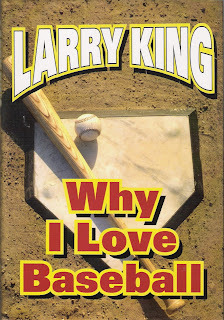 For those of you who didn't know, Larry King - award winning, television talk-show host, is a huge baseball fan. So what do you do when you are famous and are passionate about something other than the reason you are famous? I got this book at a dollar store a while back and finally got around to reading it. I really enjoyed it. Mr. King describes his childhood, growing up in Brooklyn as a die hard Dodgers fan during the 1950's. He talks about some of the baseball players he has gotten to interview over the years. He discusses owners, uniforms and ballparks. 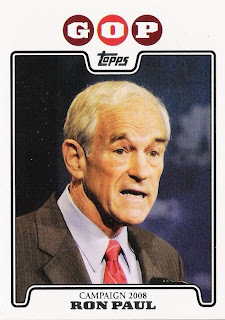 He talks about how he was sitting next to New York Mayor Rudy Giuliani during game 2 of the 2000 World Series, when Roger Clemens threw a piece of bat at Mike Piazza as he jogged to first. 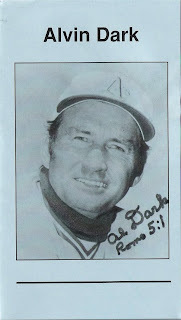 The book wasn't very structured, more like a collection of his thoughts on the game of baseball. THE PLAYER. THE HERO. THE MAN. 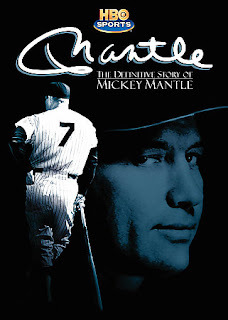 The almost mythic career of Yankee slugger Mickey Mantle is the subject of this acclaimed HBO Sports documentary special. Over 18 seasons with the Bronx Bombers, despite constant nagging injuries, Mantle managed to hit 536 home runs, twice hitting more than 50 in a season. What's more, he managed to hit more than 300 in ten seasons. 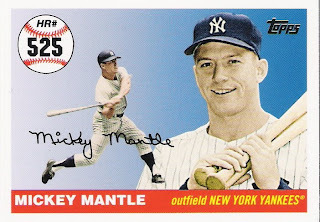 To this day, "The Mick" remains the greatest switch-hitter in baseball history; however, behind his country charm and good looks there was his wayward lifestyle that harmed his marriage, his relationship with his four sons and ultimately his death. Told with honesty and candor, this critically acclaimed documentary combines memorable footage along with interviews. Family, broadcaster Bob Costas, who delivered the eulogy at Mantle's funeral, teammate Bobby Murcer, plus Yankees principal owner George Steinbrenner all provide compelling commentary. I thought this was a great documentary on "The Mick". It included footage of where he grew up, interviews with him during his playing days, old commercials he was in, his wife and sons speaking about their relationship with their husband and father, and former teammates including, Whitey Ford, talked about all the fun they had before, during, and after games. It was only 58 minutes long, I could have watched for at least another hour. 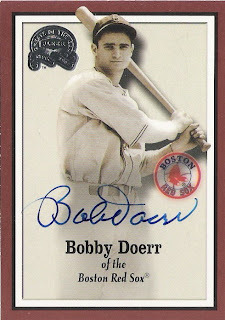 Bobby Doerr, Boston Red Sox Hall of Famer, signed both of the cards I sent and returned them to me in just 6 days! Thanks Mr. Doerr! Do NOT read if you're a fan of Roger Clemens! 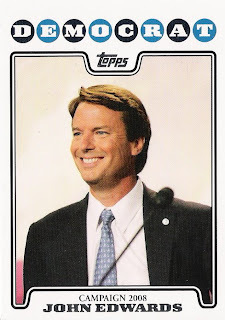 On an incident that occurred during the 1990 ALCS, "Clemens crossed the line when, upon being thrown out, he verbally threatened to kill the umpire. The exact words: "I'm going to find out where you live and come after you this winter." 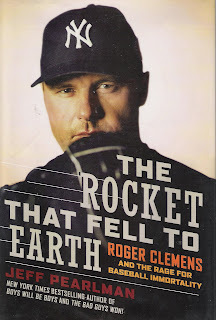 The book quotes an article written by Mike Barnicle of the Boston Globe: "Face it: If Roger Clemens had not once been able to consistently throw a baseball 95 m.p.h. past men with bats in their hands, he would be wearing bib overalls and sitting on a milk crate at the open door of a trailer somewhere, brushing his tooth while shooing flies away from his head." Quoting Huck Flener, a Toronto teammate of Clemens, "He was a supernova. I had never been around that type of star before. He had his own special box for his glove, because he didn't want it to be smashed in the team bag. He had a special suitcase with a glove protector inside. He also changed his jersey every inning, because Roger didn't like a sweaty jersey. So he had 15 jerseys in his locker, The rest of us had two." On Roger Clemens getting into the Baseball Hall of Fame Pearlman writes: "...Roger Clemens must realize that he will never stand on that stage." To be fair, the book did talk about a lot of good things that Clemens has done, visiting children in the hospital and helping out his extended family. But overall the book was very critical of Clemens. As for him getting into the Hall of Fame, I guess only time will tell. I think his only chance of making it are if people "misremember" some of the things he did. 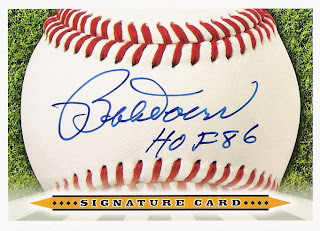 I recieved a package in the mail this week from opoohwan over at 2008 Allen & Ginter Card-scape . I sent him a few cards he needs for his 2008 Allen & Ginter set and in return he sent an assortment of cards based on an email conversation that we had. I am really not sure exactly what I want to collect at this point. 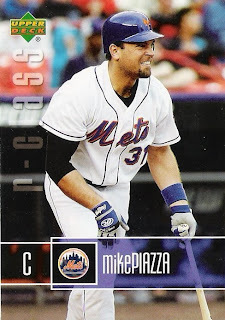 I have collected both Griffey and Piazza in the past, but am not sure if I want to continue collecting them at this point. I am a D-Backs fan and so right now that is what I have been telling everyone to send me as trade. 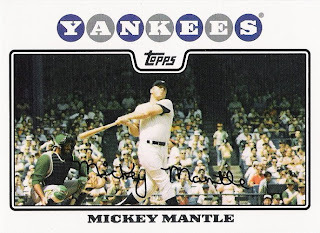 I think that I might start collecting cards featuring broken bats. I think that it is something different and unique. 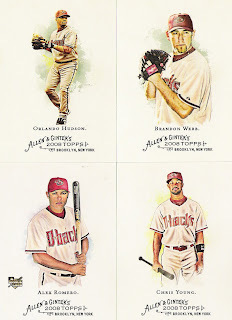 So opoohwan sent me some D-Backs, a Grifffey and a Piazza and a broken bat card. Thanks opoohwan! Be sure to check out the contest over at Voice of the Collector! Lots of great prizes! So I went to Wal-Mart today and noticed that they still had a few 2008 Topps Series 1 boxes with a big red 50% off sticker on them. The boxes have 5 packs plus 1 extra 3-card pack and at 50% off ring up at $4.97. Well one of the boxes was a little mangled so I asked the cashier if he would give me a discount. He looked at the box, scanned it and saw that it was $4.97 and then rang it up at $3.00, hence the 70% off. I bought the same box a week ago, so I knew that none of the cards would be damaged. So what did I get? Here we go. So not to bad for $8. 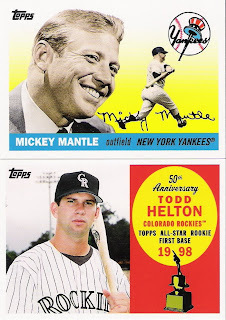 Lots of inserts and I really like the Mantle base card. Everything except the Mantle base card is up for trade if anyone is interested. Cedric the Entertainer - a Washington National? 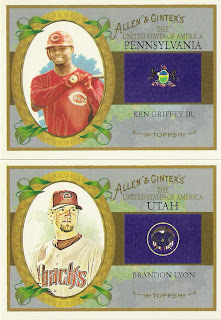 I was going through my 2008 Topps Allen & Ginter cards looking for cards to trade to David at 2008 Allen & Ginter Card-scape . 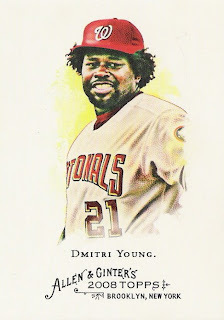 I came accross card #320 - Dmitri Young of the Washington Nationals. 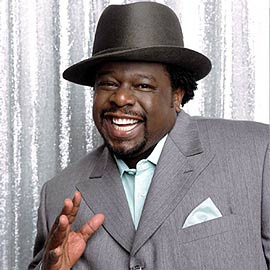 But is it really Dmitri Young or is it Cedric the Entertainer. I'm probably not the first to make this comparison, but they look so similar that I just had to post about it. 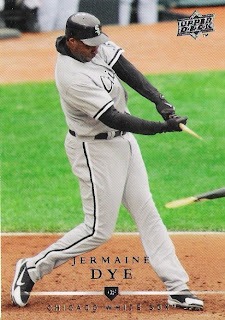 Here is the Dmitri Young card. 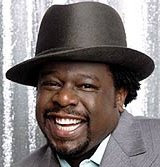 Here's a picture of Cedric the Entertainer. I don't think that they're fooling anyone. 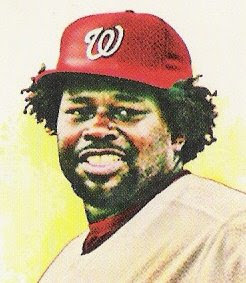 Dmitri Young and Cedric the Entertainer are in fact, the same person.